Join Dean Blake D. Morant for a "Conversation with the Dean" event featuring Nancy Rose, JD '83, Partner, Schreck Rose Dapello Adams Berlin & Dunham. This event is co-sponsored by the Student Bar Association, the Dean of Students, and the Career Center. Nancy A. Rose is a founding partner of Schreck Rose Dapello Adams Berlin & Dunham, a law firm with offices in New York and Beverly Hills representing clients in all areas of the entertainment industry. She specializes in the representation of creative individuals working in theatre and television. Ms. Rose’s clients include award-winning writers, directors, composers, and lyricists such as Lin-Manuel Miranda (Hamilton), Stephen Schwartz (Wicked), Jeanine Tesori (Fun Home), and Tony Kushner (Angels in America). 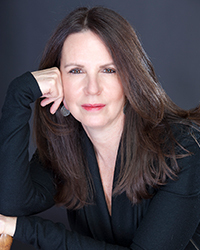 She provides business and legal guidance during each phase of development and production, helping to translate her clients’ creative vision into commercial success on Broadway, the West End, and beyond. Ms. Rose also negotiates with major film studios to bring her clients’ stage plays to the screen, for projects such as Warner Brothers’ upcoming film production of Mr. Miranda’s musical In the Heights. In television, she works with top showrunners such as Beau Willimon (House of Cards, The First) and Sarah Treem (The Affair), negotiating their series contracts and overall agreements with television studios.